After seeing many posts on Instagram, Facebook and gossip in the restaurant about Jamberry nails I had to reach out, test these nails out. As a waitress I’m always wondering what my nails look like to the customer, I don’t want to hand a plate or write an order with chipped nails, no nail polish or broken nails. To be honest who feels good about themselves when they know there’s a flaw in what they are wearing or their appearance may be a better word to describe my fear and others I would think. I tried the Jamberry nails out before work one evening, could they withstand the waitress lifestyle. Warm plates, silverware rolling, dish-washing at times and busing and washing tables down. I found the nails so simple to put on, with some practice I know I could be better at placing them perfecting on my nail. The different sizes on the chart, the length given allowed opportunity to do both my right and left hand with the same nail adhesive. As I put my blow dryer to the nail to help the adhesive better shape or form the nail I wondered, how long do I do this. After ten minutes the whole set (I am not that great at left handed). Then to cut and shape… It was easy, dry and not coming off when I put my work shoes on, how can I ask for something quicker and easier then this? Happiness set it but the true test was yet to come… After working a nine hour shift I saw each nail still on, one or two bending up at the ends. But I believe that was an error on my part, I am still new at putting these on alone remind you. Taking off was simpler then I imagined, with no real adhesive still stuck on my nail I was able to take them off within a minute or two before playing down. Clean, trim, shape and paint… Now remember don’t touch a thing! How do you tell your three (going on four) year old not to touch or move because you just had to have their nails done. If they are anything like my daughter they love having their nails painted; it might be the one on one time we have with full attention on her. Maybe its the bright colors, the feel of the brush as it paints the colors on. 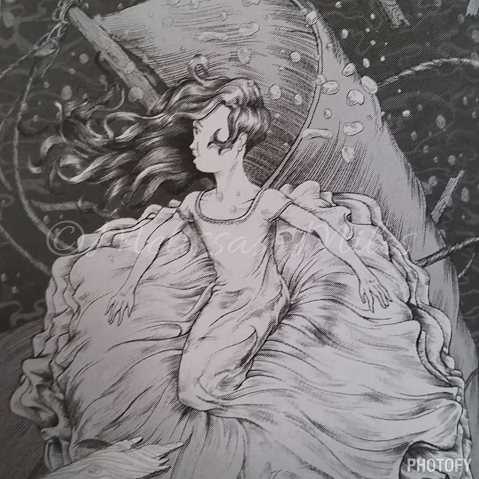 Then there’s the question “should I try to make a design, maybe add a bit of glitter?”… Who are you kidding its either smudged or picked off within the first five minutes. Now here’s the trick Jamberry nails. Thankfully after being sent these lovely designed nails the amazing touch of kindness inclosed with a note and a kids Jamberry nails kit I found myself on the floor doing nails for two three year olds. I watched Isabella’s amazement as I put the first “nail” on; she studied it hard wondering why mommy was putting a sticker on her nail. Then I watched as Careena was counting the nails, the gears in her mind spinning. 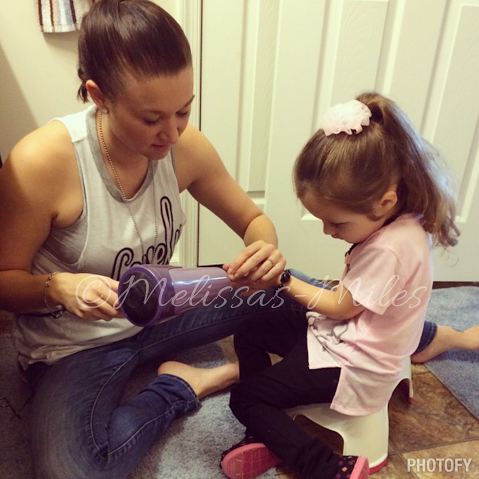 “Careena ask mommy if there is time for Missy to do your nails ok, hun?” (Don’t get me wrong I don’t like being called Missy, I don’t allow anyone to call me Missy. That is a name only my sweet sisters can call me.) “Mommy said yes Missy.” I hear screaming from the loft as her tiny footsteps grew louder the closer she came. 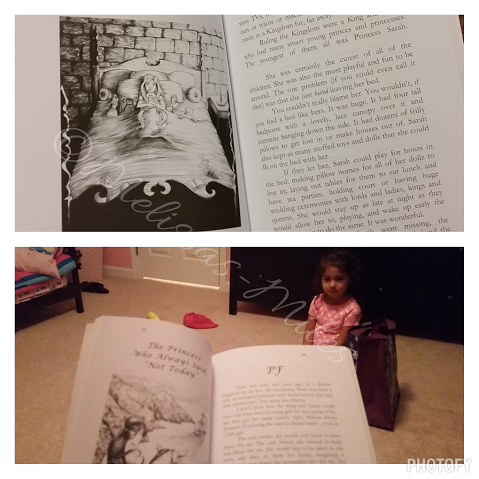 The many questions were asked, “why are you using a blow dryer to do nails?”… “Are they stickers?” As I finished Isabella, I saw the girls eyes light up and when you do ones a certain way the other cannot be different or there’s a three-teen fight. I love all the designs from sports teams to holidays and sparkles to solid colors I found so many I could use for each and every day, holiday and event we have coming up. For the price and the amount of time they hold up I’d pick this over an overly expensive spa day most weeks (though an occasional mommy day would be nice — hint hint mothers day). 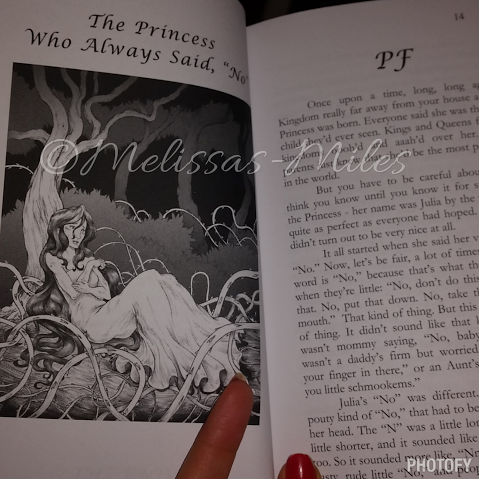 How do you decorate your Princesses nails? Is there a big mess, glitter and paint everywhere from clothes to floors and furniture or have you mastered the art of nail painting? 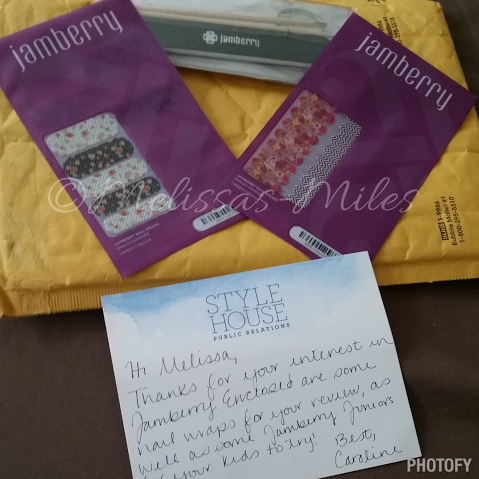 I sure haven’t even with the proper tools, so thank goodness for Jamberry nails. 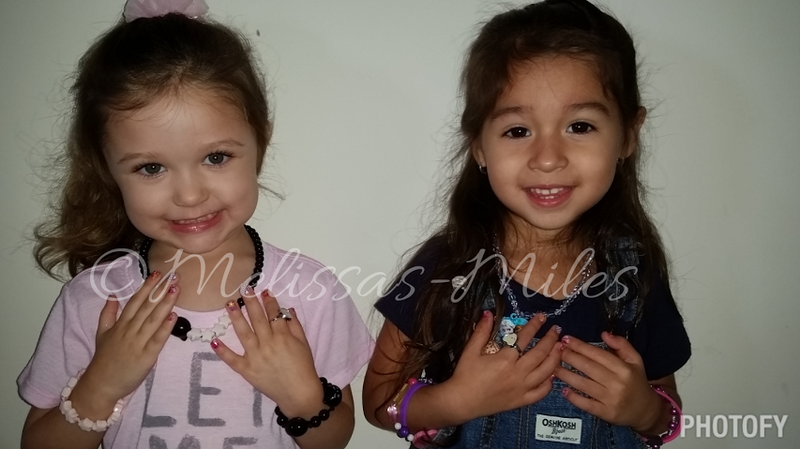 In exchange for my time and efforts in reporting my opinion within this blog, the creator of Tutu Amaezing Boutique has provided me with complimentary headband and bows for Elleanna and Isabella. Even though I receive these benefits, I always give an opinion that is 100% mine. I cannot express how much fashion means to my daughter and I; though I do slack these days as a mom of two girls they take all my time to get ready. 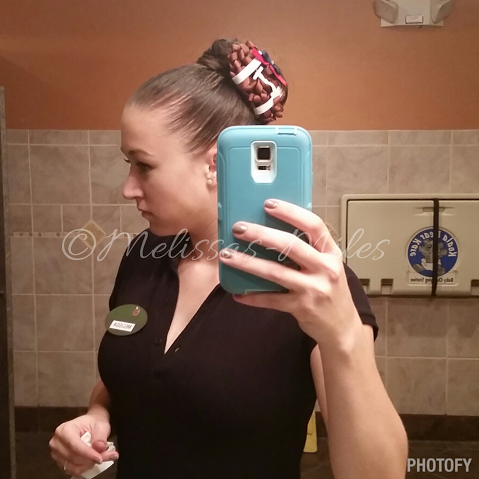 I do take my time for work, hair done and of course makeup and make sure my nails look nice; if anyone is like me they are looking at the waitresses hand when serving food. Back to the point though, I found this amazing shop online, TuTu Amaezing Boutique and couldn’t believe all the breath taking bows that this wonderful woman (Desiree) could create. I myself have tried a few times now to make Isabella along with Elleanna and my sisters (Careena and Hailee) bows… But they are basic bows, nothing special now these bows on the other hand took special talent! After looking over http://tutuamaezingboutique.com I found many bows from football teams, sports, military, breast cancer awareness to holiday and themed characters such as my children’s favorite FROZEN! The creativity put into each, the special touch and the way she puts her whole heart into her work certainly shows with each bow. 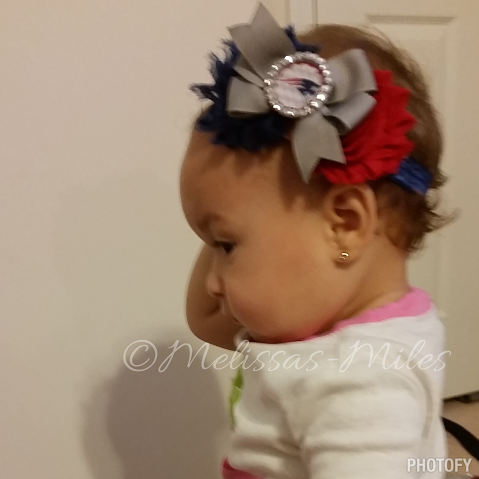 My daughters represented our team beyond well with these fantastic pieces for the Patriots… Desiree even created a Patriots headband that was adjustable for Elleanna to wear and grow into. 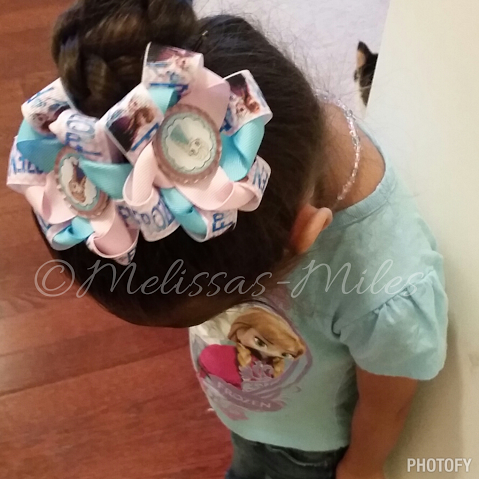 And of course Frozen, Isabella had a few chances to wear her Frozen bows to school along with Frozen live. Her grandfather and Meme took her along with Careena and Hailee this past week to the show. 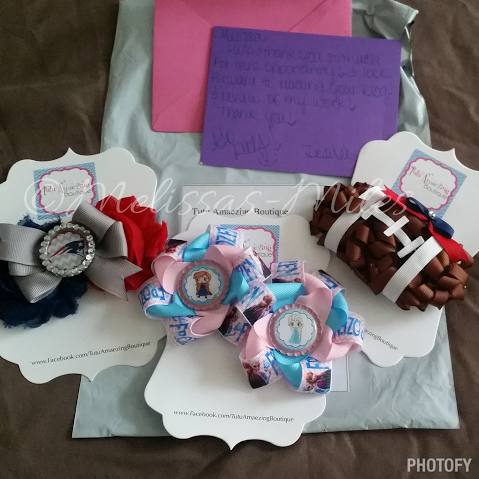 Isabella’s heart melted, her eyes widened and she said “Mommy you buy me?” when she saw the bows come out of the package. 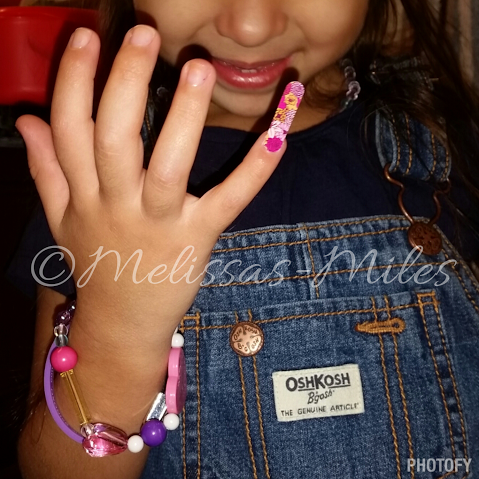 What better treat for Princesses such as my girls then a fashion statements that show so much personality and beauty. Before seeing Frozen Live on Ice. When you think about bows you don’t put much mind into what type of ribbon is being used but with TuTu Amaezing Boutique they use the best there is and each bow, headband and tutu certainly shows that. 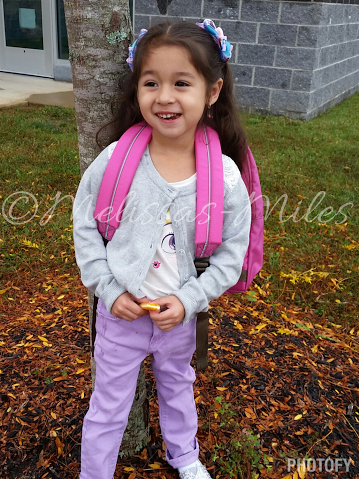 How do you dress you girls up for school? Is there a special bow that they love or maybe that you love? If not or to add to your collection check out these breath taking bows at http://tutuamaezingboutique.com. I know we’ve found our special fashion pieces thanks to Tutu Amaezing Boutique.